When it’s time for your car or truck to get a new paint job, you have two basic choices. 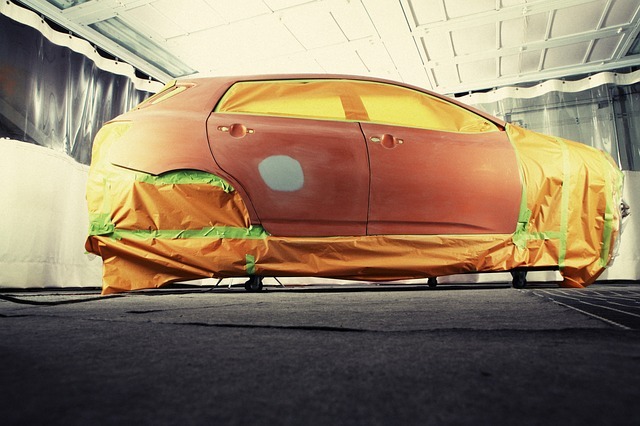 Either you can take it to an auto body shop to have a professional paint job done or you can do it yourself. In recent years, most likely due to the recession, more and more people have been doing DIY paint jobs on their cars and doing a very nice job, for sure. However, there are some safety precautions you should take when working with spray paint, not only for your protection but anyone who will be in and around the area where you are working. Following is some advice you may want to heed. One of the most common dangers would be in regards to those fumes you will be exposed to. Many paints, paint thinners and other chemicals used when preparing the surface and spray painting a car are extremely toxic. Some of those fumes may cause immediate problems such as nausea and light-headedness, but others can pose significant ongoing health risks. Before working with any substance that will be sprayed and that you will be breathing in, read the labels. Know the ingredients and take proper precautions not to be unnecessarily exposed to those substances. Always work in a well-ventilated area. If you are spray painting your car and have a garage to work in, make sure the front sliding door is completely raised and if there are windows, keep them open. Many people choose to work in their garage because of all the dust and other debris blown around outside and that is perfectly okay. However, to reduce the risk of breathing in all those fumes, keep the area well ventilated. If you use a fan, keep it blowing out, not in. Don’t go down to the corner drug store or hardware and buy a dust mask. It isn’t going to do you one bit of good in terms of protecting against fumes and vapors. Dust masks are not designed to keep tiny, often microscopic, particles from entering your lungs when you inhale. One top-of-the-line product that is quite affordable are the 3M Respirators that have been designed for maximum filtration but at costs that are extremely affordable. Wear gloves as well because many chemicals can absolutely infiltrate the skin. You may want a protective suit as well, such as DuPont’s Tyvek Suit that many pros use when on a first response HAZMAT call. So then, the bottom line is that you need to first think about your lungs and secondly keep contaminants from being absorbed through the skin. Both are equally important and both will help to prevent any dangers to your health that can result from spray painting your car. Yes, you can save a ton of money by doing the labor yourself, but take adequate precautions to guard your health. You have saved nothing if you run up huge medical bills and you surely don’t want to be too ill to enjoy your ‘new’ car! Previous Previous post: The Garage Door Isn’t Closing Fully!